In this Tuesday, Feb. 19, 2019, photo is a selection of the new Samsung Galaxy S10 smartphones during a product preview in San Francisco. 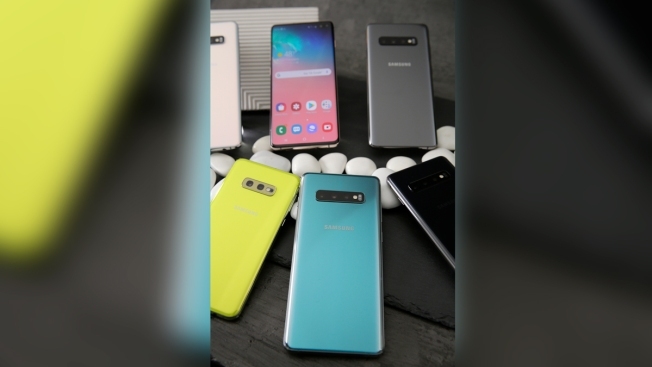 Samsung also released new Galaxy S10 phones that boast fancy cameras, sleek screens covering the entire front of the devices and at least 128 gigabytes of storage — important features to consumers shopping for phones. Samsung is offering a slightly smaller S10 model for $750 in an attempt to make smartphones more affordable, but the higher-end models sell for $900 and $1,000.